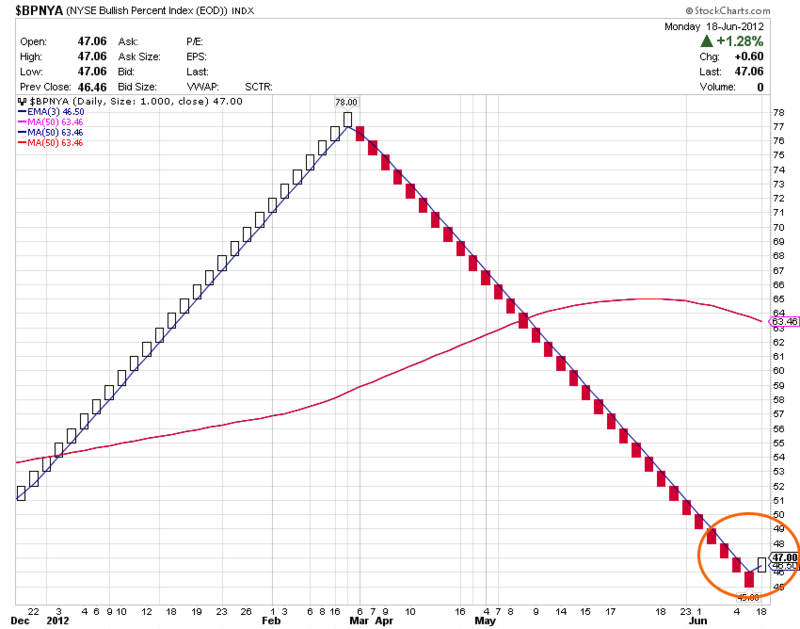 The improvement in breadth over the past week gave us a new buy signal on the BPNYA Daily Renko. This indicator has been in a sell signal since Early March 2012. Possibly the start of the mid-summer rally?